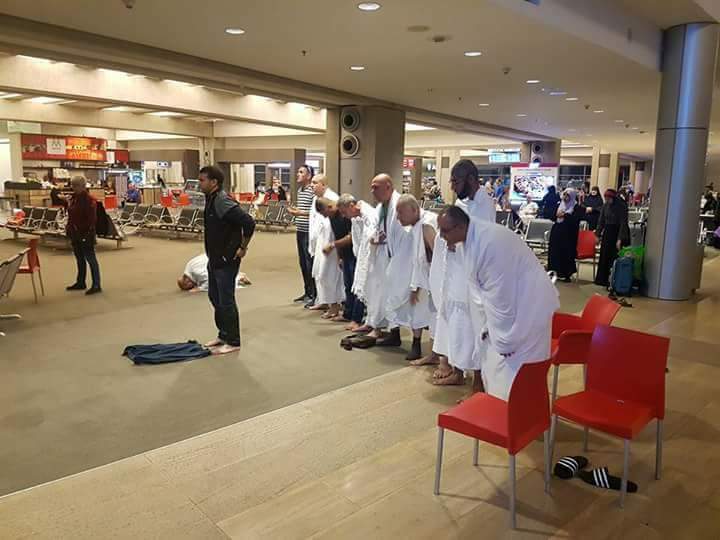 For the first time at Ben-Gurion Airport, Tel Aviv, [Palestinian pilgrims) were traveling to Saudi Arabia via a transit plane to Jordan Amman Airport and from there to the land of the Two Holy Mosques for the performance of Umrah. When someone challenged her that this has happened in the past, she said that previously Israeli Arabs had taken a bus to Amman and from there taken a flight to Mecca. In this case the plane leaves from Israel, stops briefly in Amman and then goes on to Saudi Arabia, presumably so that the flight doesn’t go directly from Israel to the kingdom. For thousands of Palestinian pilgrims, the journey to Mecca is about to become much less time-consuming. 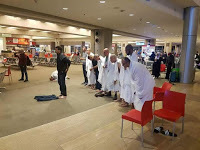 The United States is in talks with the Palestinian Authority, Saudi Arabia and Jordan, to allow special flights transporting pilgrims to take off from Ben Gurion International Airport in Tel Aviv to Saudi Arabia, reported Roya Arabic. According to the same source, the designated planes won’t be Saudi or Israeli-owned. In addition, the aircrafts are planned to make a brief stop in Jordan before continuing to their final destination. I guess no one wants to report that the administration of Donald Trump may have done something to help Israeli Arabs and Palestinians get to Saudi Arabia.